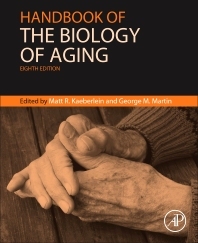 Handbook of the Biology of Aging, Eighth Edition, provides readers with an update on the rapid progress in the research of aging. It is a comprehensive synthesis and review of the latest and most important advances and themes in modern biogerontology, and focuses on the trend of ‘big data’ approaches in the biological sciences, presenting new strategies to analyze, interpret, and understand the enormous amounts of information being generated through DNA sequencing, transcriptomic, proteomic, and the metabolomics methodologies applied to aging related problems. The book includes discussions on longevity pathways and interventions that modulate aging, innovative new tools that facilitate systems-level approaches to aging research, the mTOR pathway and its importance in age-related phenotypes, new strategies to pharmacologically modulate the mTOR pathway to delay aging, the importance of sirtuins and the hypoxic response in aging, and how various pathways interact within the context of aging as a complex genetic trait, amongst others.